Wonderful Brick Georgian Situated On Cul-de-sac On Batavia's West Side! Freshly Painted Interior/Exterior. Grand Foyer With Split Staircase Welcomes You! Formal Combination Lr/Dr. Newer Gourmet Kitchen w/Island, Granite And Stainless Steel Appliances Overlooks 2 Story Family Room. Access To Large Deck Offering Views Of Pond And Mature Wooded Yard. Family Room With Soaring 2 Story Ceiling And Floor To Ceiling Brick Fireplace Is Loaded With Windows For Natural Light. 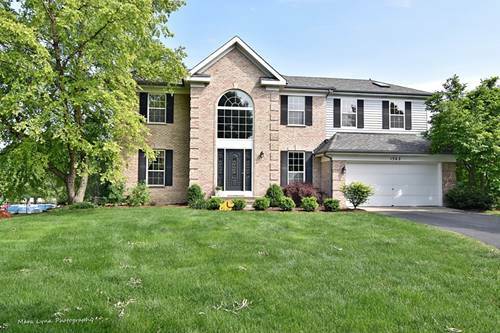 Master Bedroom Suite With Updated Master Bath, 3 Additional Bedrooms And Updated Hall Bath. Fully Finished Walkout Basement With Rec Area, Work Out Room And Entertainment Bar That Will Stay With Home. Wonderful Floor Plan With Lots Of Light! Easy Access To High School, Rt. 31, River Front, And Downtown Batavia For Shopping And Dining. Welcome Home! 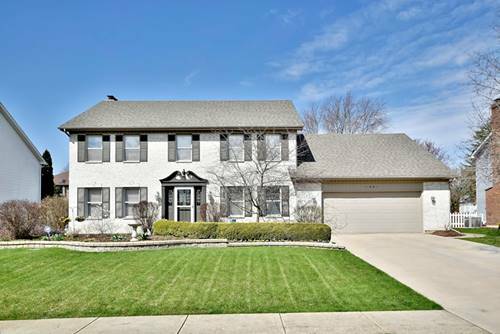 For more information about 1362 Crabapple, Batavia, IL 60510 contact Urban Real Estate.